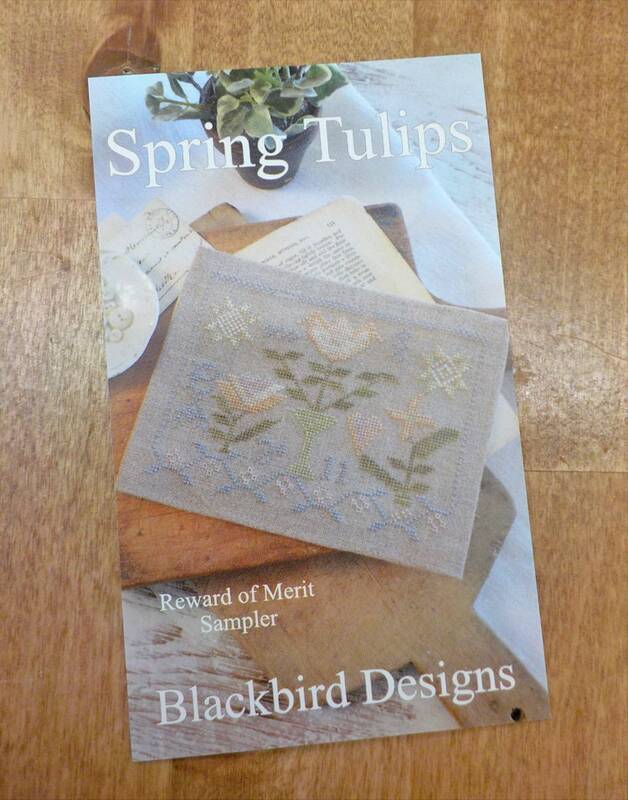 Spring Tulips, Reward of Merit Sampler, by Blackbird Designs. Spring Tulips sampler measures 6 3/8 x 4 7/8 inches. Hone your cross stitch skills with this little project. Featuring sweet, yellow tulips...it is the perfect ode to spring during the dark and dreary days of winter.